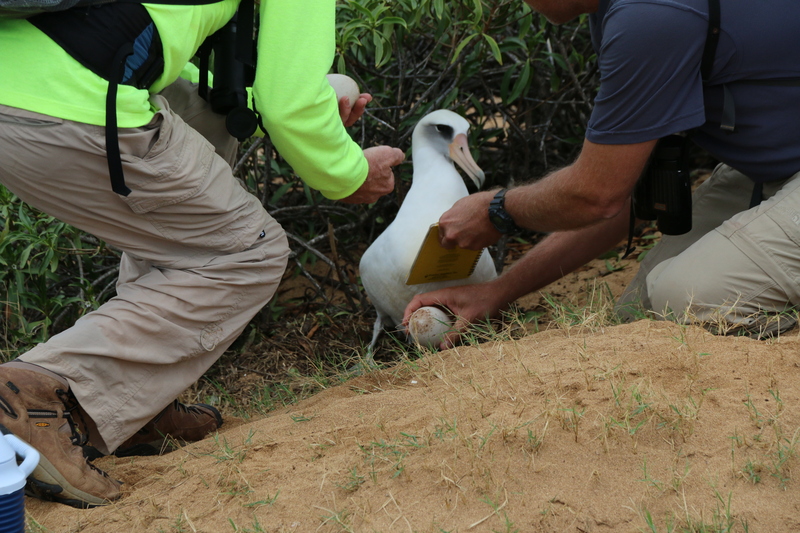 At the 12/27/1 Natural Area Reserve, which hosts O‘ahu’s primary breeding and nesting colony of these magnificent birds, 21 sets of parents are now sharing familial responsibilities, by trying to hatch-out adopted eggs. A certain number of eggs the birds lay are infertile, yet the parents will be with them for their entire 60-day plus gestation period. Enter helping hands.